Consumer centric venture fund Sixth Sense Ventures, floated by former IDFC Securities' managing director and its co-head of research Nikhil Vora, has made its second investment in as many months by backing Cross Roads India Assistance Pvt. Ltd., a road side assistance provider for cars and two wheelers. The transaction marks the first entry of an institutional player in Cross Roads through a Series A financing round. It has invested approximately Rs 10 crore ($1.5 million) in lieu of a significant minority stake. This deal comes in quick succession for Sixth Sense which made its debut investment last month backing luxury watches retail chain operator Ethos Ltd.
“We want to look at businesses which operate in large white spaces, run by first generation entrepreneurs, servicing consumers’ imperative needs with a strong technology backbone to scale. 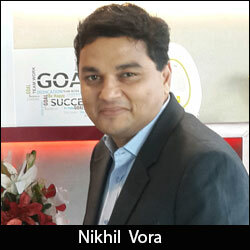 I find that in Cross Roads,” according to Nikhil Vora, founder & CEO of Sixth Sense Ventures.